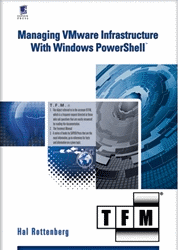 PowerCLI Sessions and Activities at VMworld Barcelona, Plan Now! This entry was posted in General, Learning, VMworld and tagged Barcelona, PowerCLI, Sessions, VMworld on September 29, 2014 by Brian Graf. This entry was posted in General, Reporting and tagged compile, Performance, PowerCLI 5.8 on September 24, 2014 by Brian Graf. I am happy to announce a new fling ‘PowerActions for vSphere Web Client’ PowerActions integrates the vSphere Web Client and PowerCLI to provide complex automation solutions from within the standard vSphere management client. In short, we can now run PowerShell/PowerCLI scripts from the Web Client! This entry was posted in Customization, Extensions, General, vCenter and tagged Flings, PowerActions, PowerCLI, Web Client on September 17, 2014 by Brian Graf. in Part 1 we discussed how to add a configuration to the OvfConfiguration object (See Post HERE). In this post we will quickly discuss how to leverage the new –OvfConfiguration parameter when deploying vApps. This entry was posted in Customization, General, vCenter and tagged Import-VApp, OVFConfiguration, PowerCLI 5.8 on September 17, 2014 by Brian Graf. As many of you have read in the release notes of vSphere PowerCLI 5.8 r1 we have introduced a new cmdlet ‘Get-OvfConfiguration’ along with a new parameter on the ‘Import-vApp’ cmdlet to allow users to specify and set the OVF properties for an OVF deployment. This entry was posted in Customization, General, vCenter and tagged get-ovfconfiguration, Hash Tables, PowerCLI, PowerCLI 5.8 on September 15, 2014 by Brian Graf. 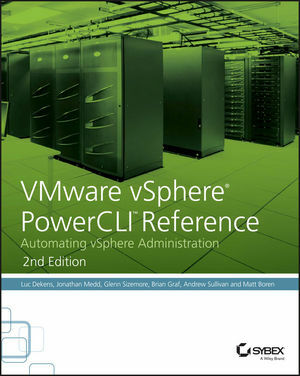 I am pleased to announce that vSphere PowerCLI 5.8 R1 is now Generally Available to the public. With this comes new features and extensibility into Storage policy based management, Easily deploy OVF/OVA files with new configuration options, Support for newer versions of vCloud Director (vCD), vCloud Air, Site Recovery Manager (SRM), and more! Below is an overview of the updates that you can find within this latest release. This entry was posted in General, Reporting, Storage, Tags, vCenter, vCloud and tagged 5.8 r1, get-ovfconfiguration, OVFConfiguration, PowerCLI 5.8, SPBM, vCloud Air on September 9, 2014 by Brian Graf. VCAC 6.1 Pre-req Automation Script Released! As many of you are now seeing the announcement that vCloud Automation Center 6.1 is GA, you will most likely already be downloading the bits. Let me save you all some time once again with the latest Prerequisite Automation Script. This entry was posted in Customization, General and tagged automation, Pre-req, Script, vCAC 6.1 on September 9, 2014 by Brian Graf.